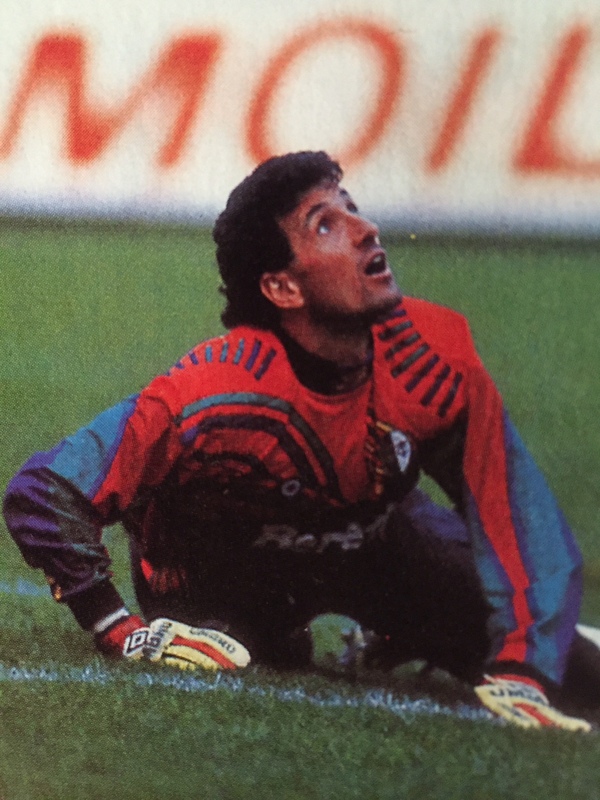 In the season 1993-1994 Giovanni Galli played as the starting keeper for Torino Calcio for a single season, reaching the semi-finals of the Coppa Italia, and the quarter-finals of the Cup Winners’ Cup, despite a disappointing mid-table finish. 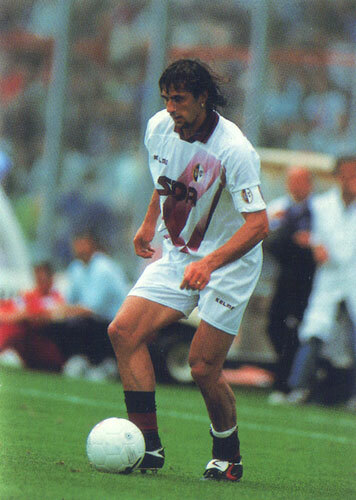 In a professional career which spanned nearly two decades, he played in 496 Serie A games, mainly with Fiorentina (nine seasons) and Milan (four), winning six major titles with the latter club. 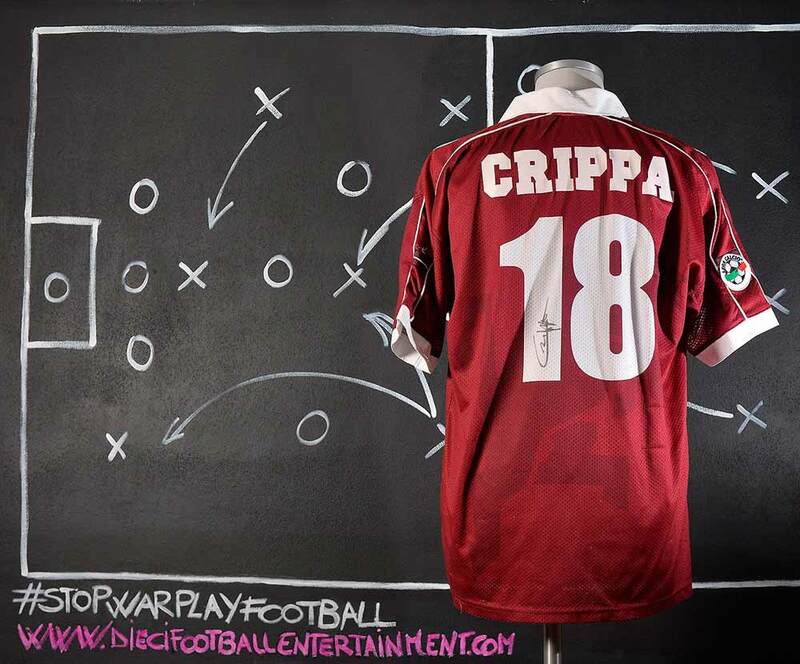 After playing for the under-21 team, Crippa went on to make 17 appearances for Italy between 1988 and 1996. 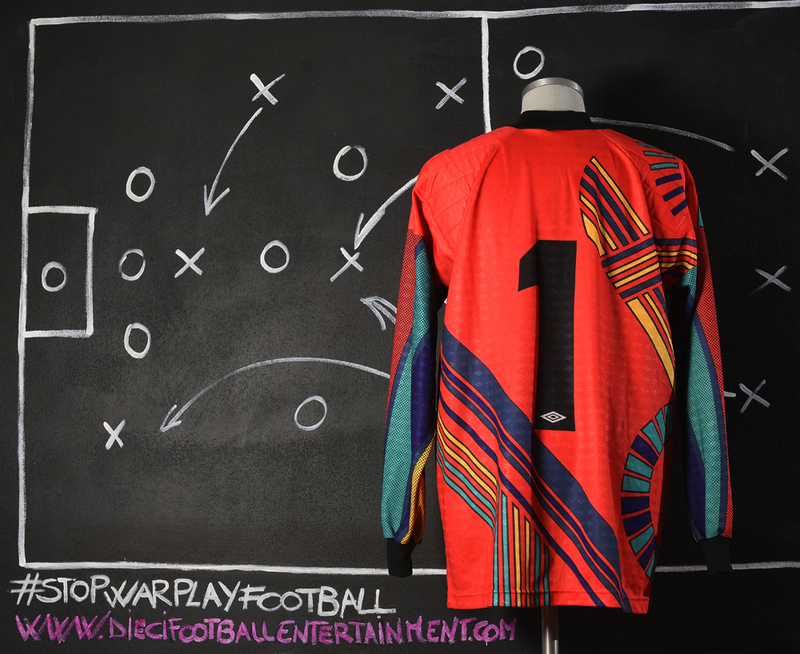 He made his debut in a 2–0 home win over Scotland on 22 December 1988, and he scored his only international goal in a 3–1 friendly win against Turkey on December 14, 1994. 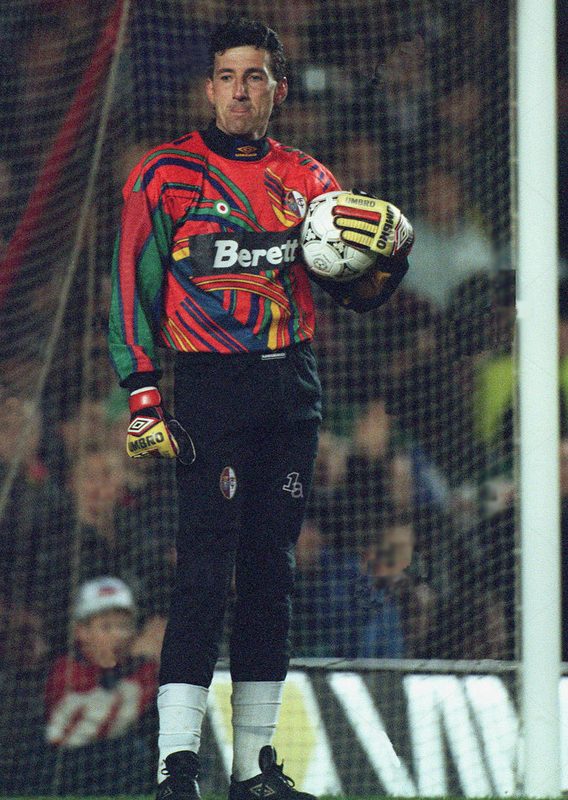 Crippa also represented Italy at two Olympic Games: Seoul 1988, and Atlanta 1996, under manager Cesare Maldini. 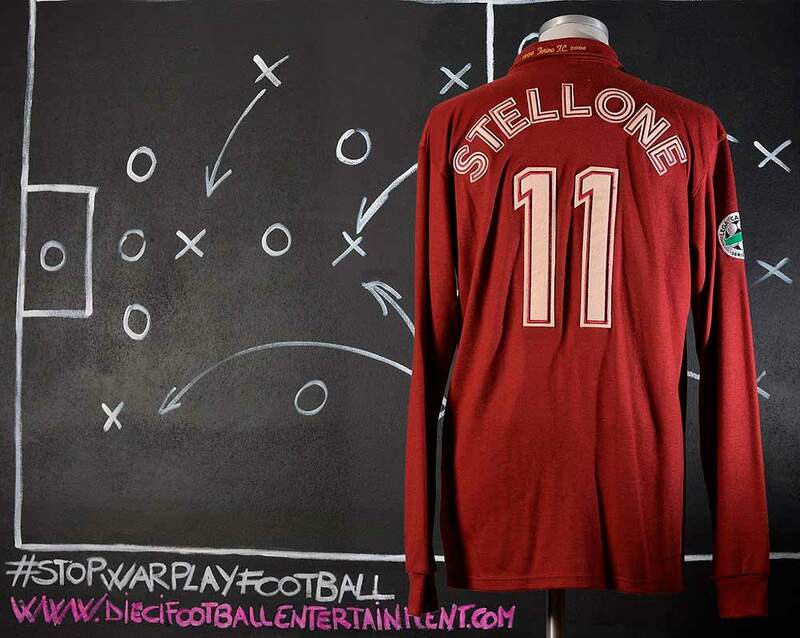 He scored the decisive goal in the 2–1 quarter-final victory against Sweden at the 1988 Olympics, as Italy reached the semi-finals, eventually finishing the tournament in fourth place. 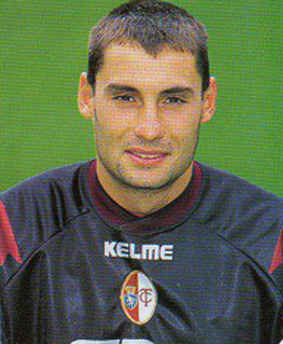 In 1999, Fabio Galante signed for Torino Calcio, initially on loan. 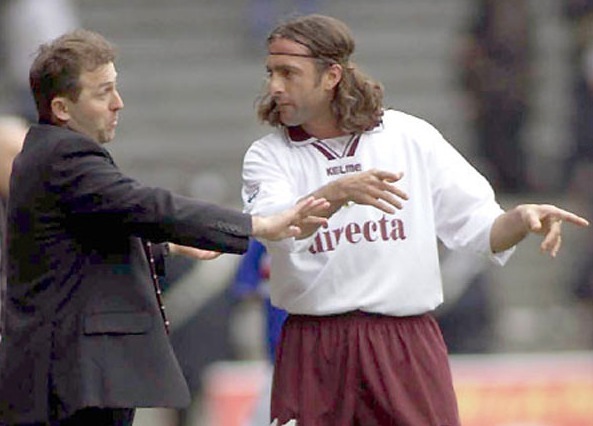 Torino paid 5.1 billion lire to sign Galante permanently in June 2000, but at the same time selling half of the registration rights of Riccardo Fissore and Franco Semioli to Inter for 6 billion lire (Fissore was later bought back by Torino the following summer for 2 billion lire, meaning the club had acquired Fissore by paying Inter 1.1 billion lire in cash and half of Semioli). 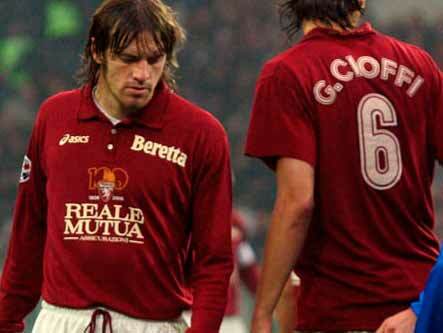 Galante spent four seasons with Torino in total, two of them in Serie A. 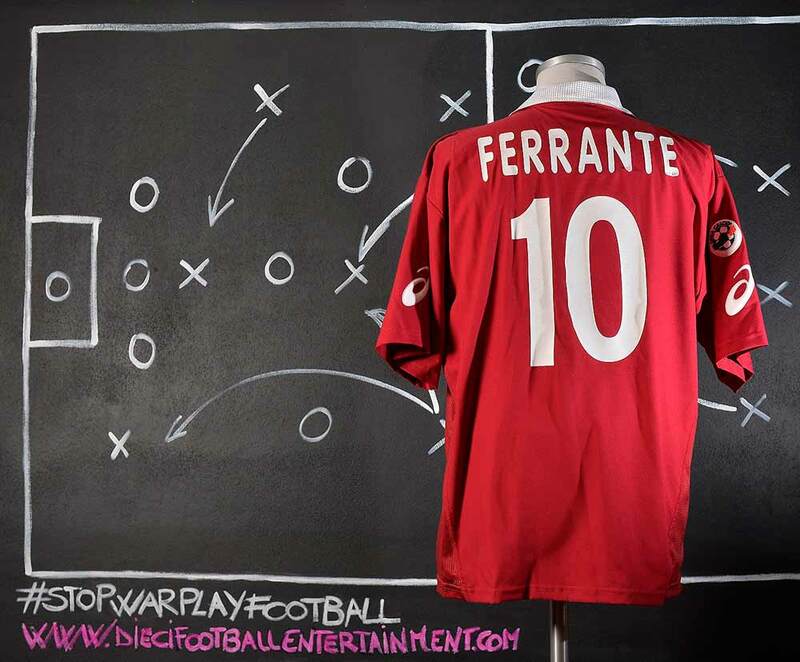 He helped the club to gain Serie A promotion, winning the 2000–01 Serie B title; the following season he helped the club to win a spot in the 2002 UEFA Intertoto Cup. 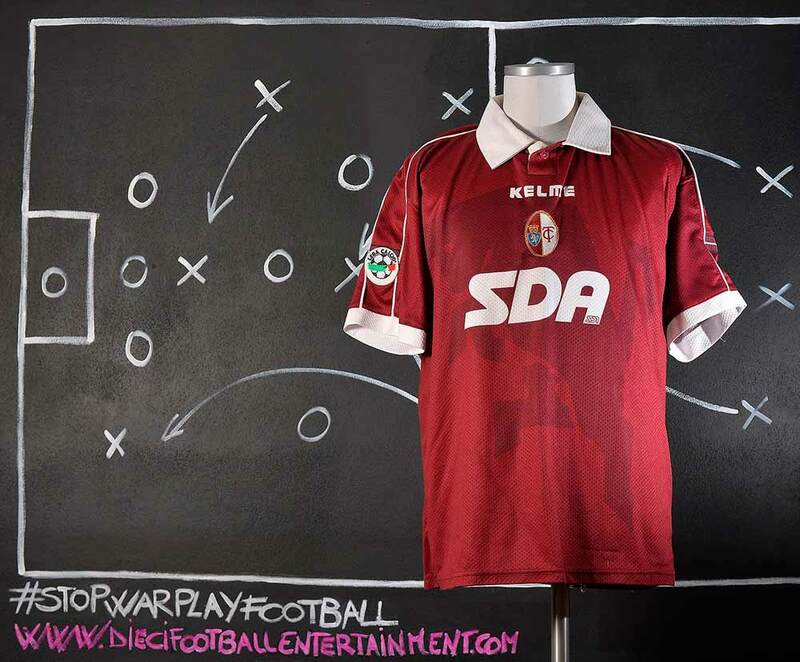 The beginning of the season 2001-2002 was not one of the best. 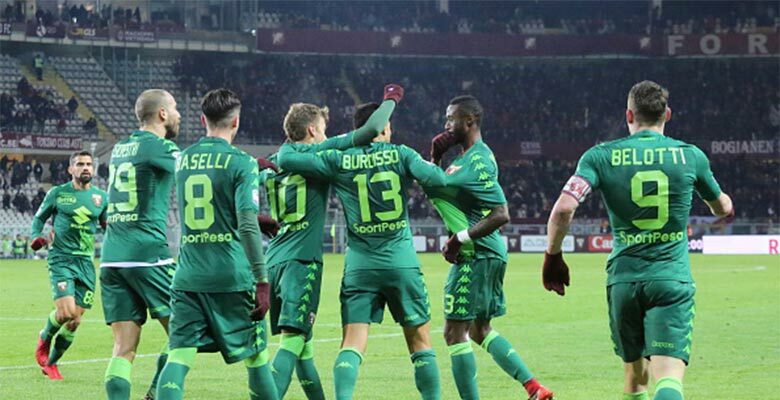 The team never won in the first five games of the season. 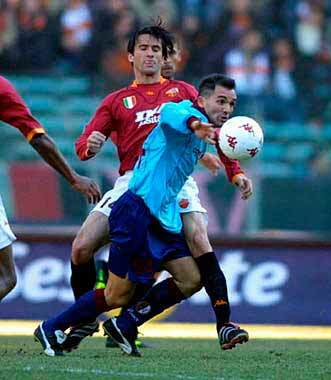 The sixth Serie A was the derby against Juventus F.C. 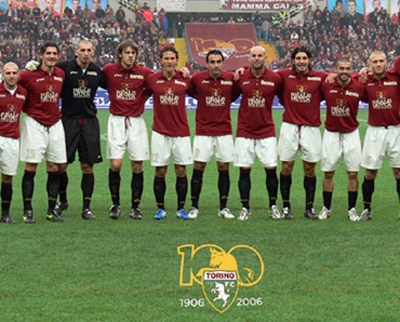 That derby became one of the historical one in the team’s history. 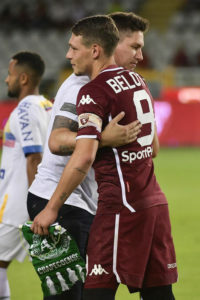 3-3 was the final result in a game full of emotions. 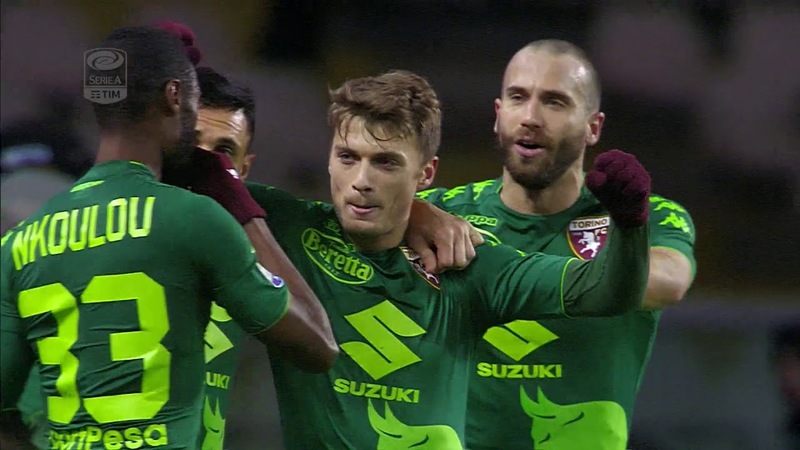 From the 3-0 for Juventus to the final 3-3. 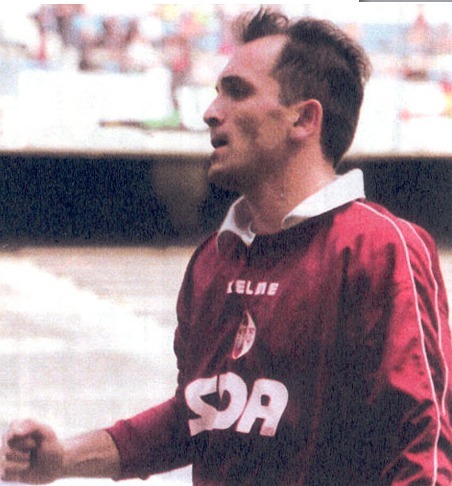 A Lazio youth product, Tiribocchi made his debut playing for Pistoiese in 1995. 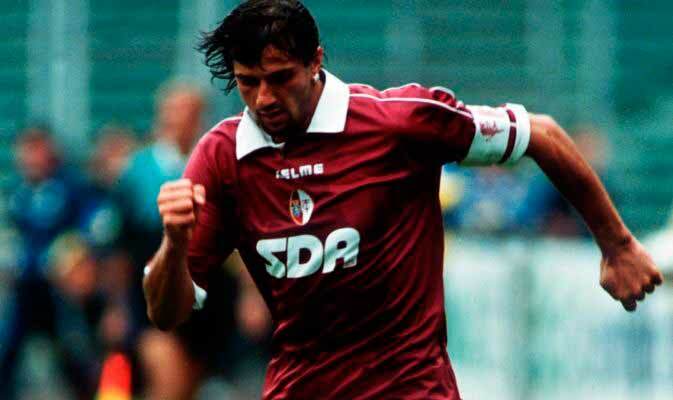 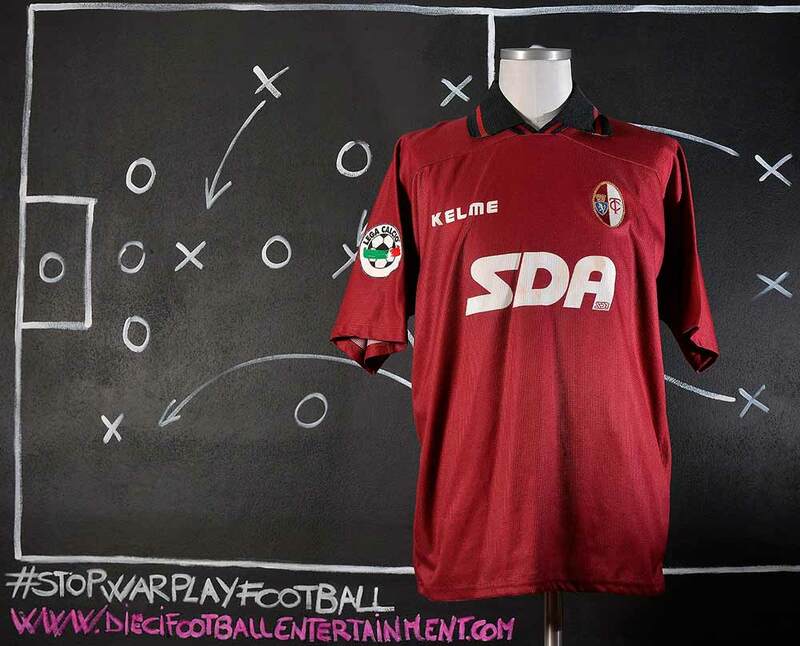 He moved to Empoli in 1996, but failed to make an appearance, and was signed by Torino Calcio later that year. 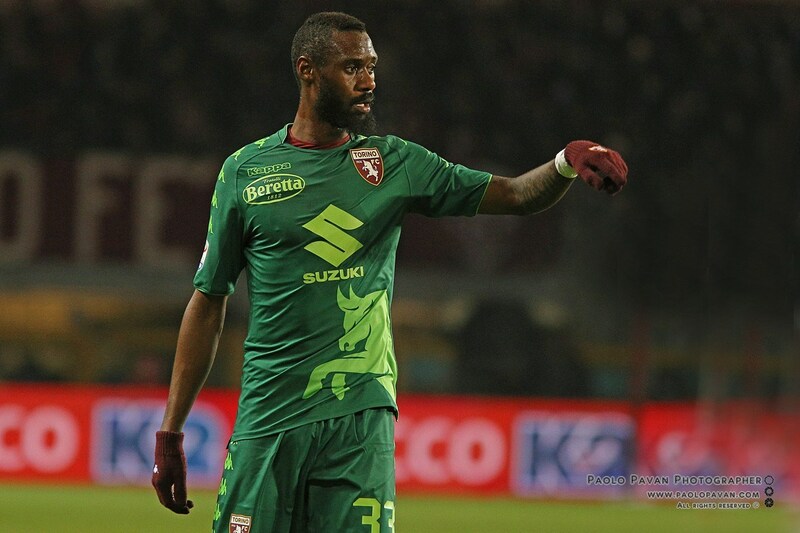 He played for the Turin club for 8 seasons, although he spent half of them loaned to Serie B and Serie C1 clubs Savoia, Benevento, and Siena, where he won the Serie B title and Serie A promotion in 2003. 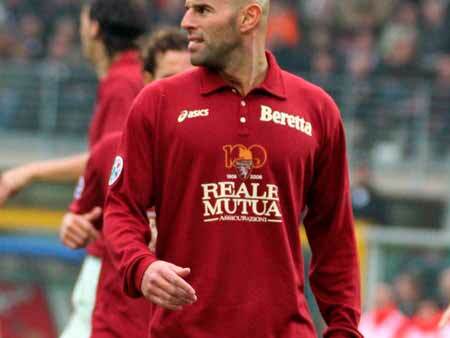 He was signed by Serie A side A.C. Chievo Verona in July 2004. He scored 12 goals in 43 matches during his first two seasons with Chievo, and 3 more in 16 appearances during the first half of the 2006–07 Serie A season. 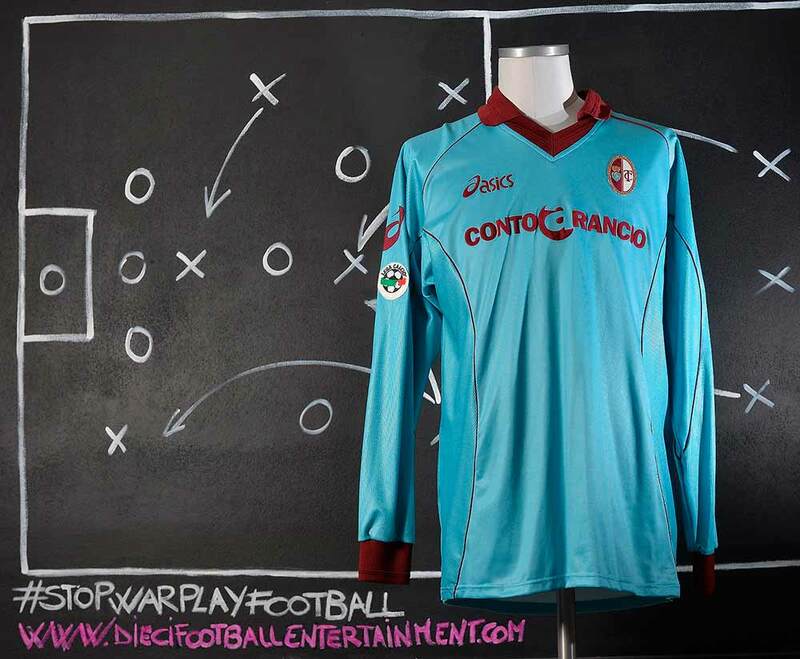 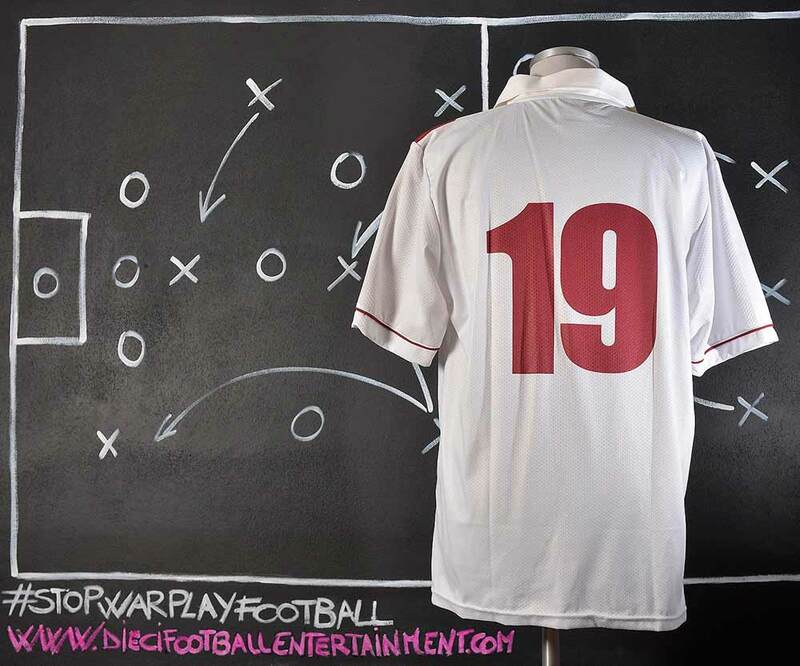 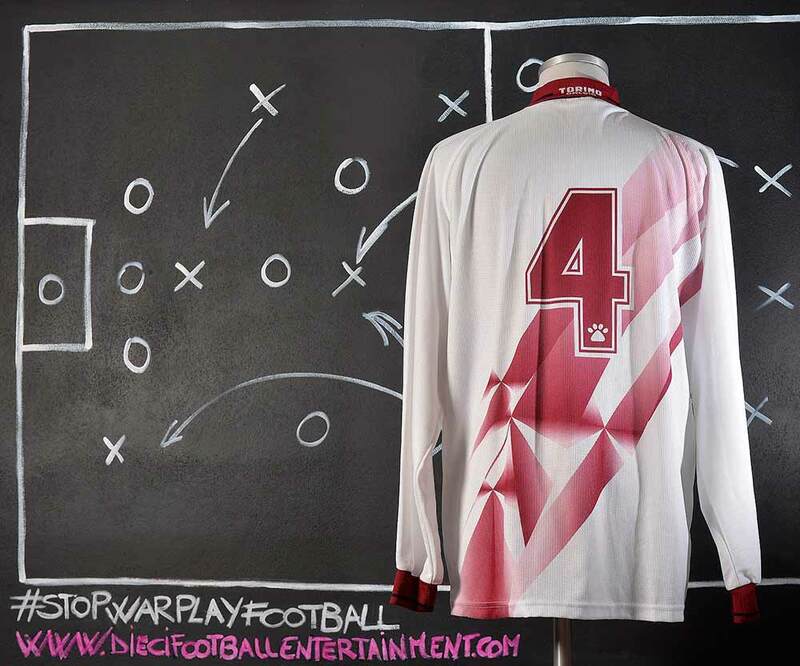 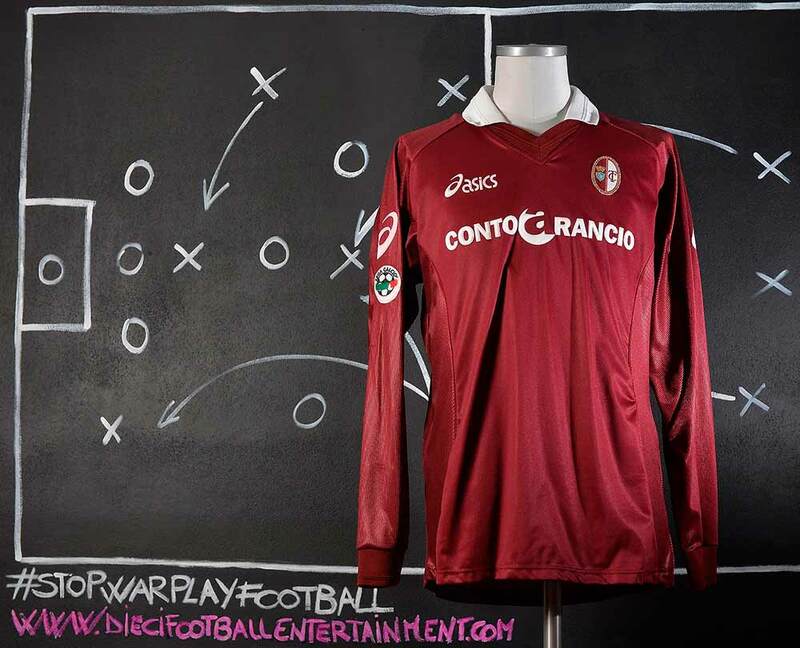 The season 2006-2007 represents the 100th Anniversary of Torino F.C. 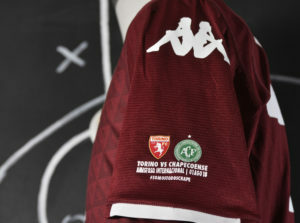 In order to celebrate it a special shirt was made by team’s supplier Asics. 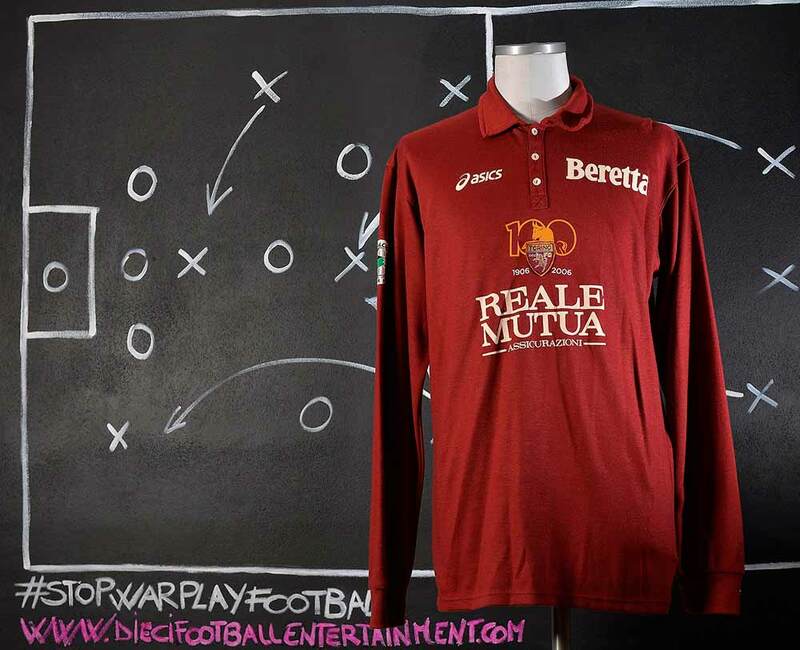 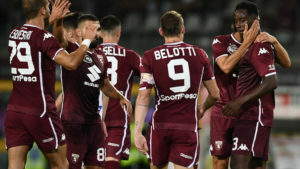 During the home game against Empoli the team used an vintage look woolen shirt with the number 100 on chest and with embroidered names and number. 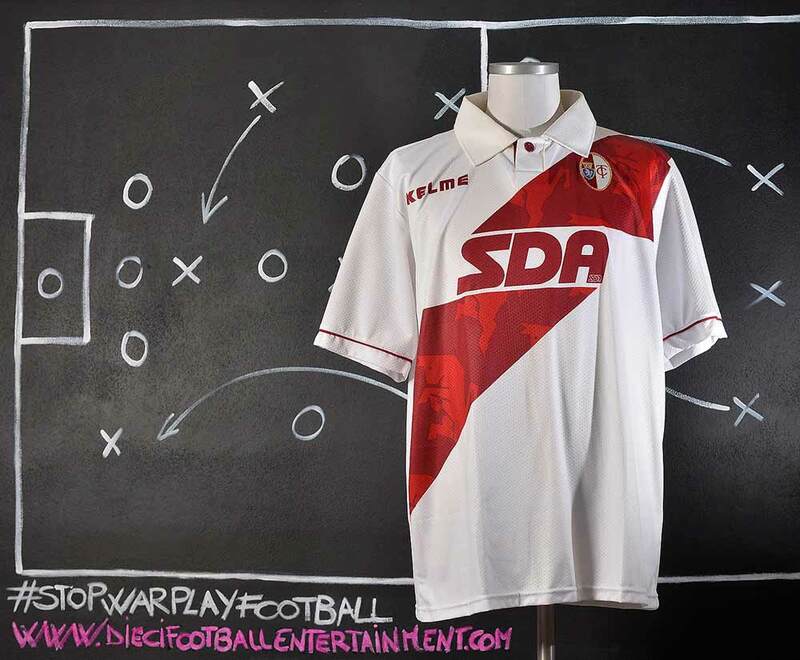 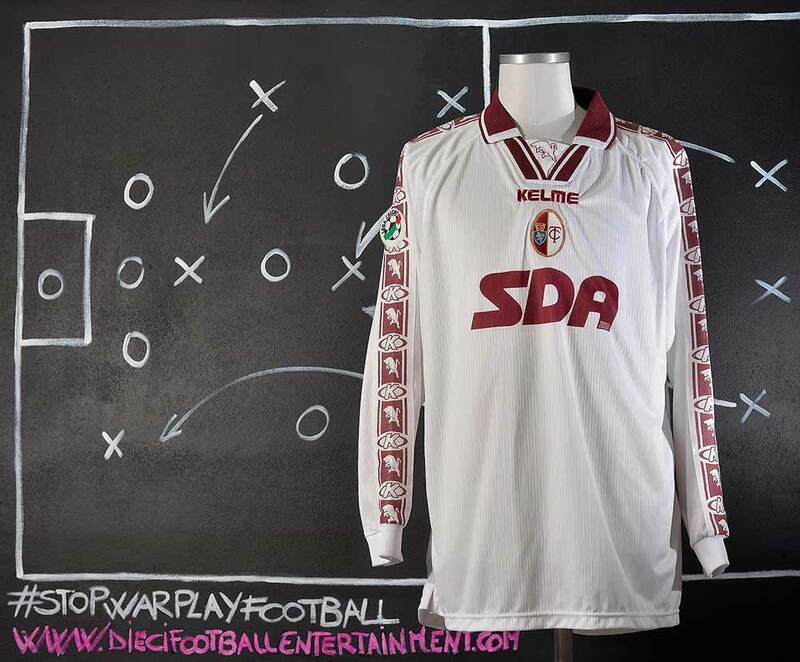 The shirt was used only in this game. 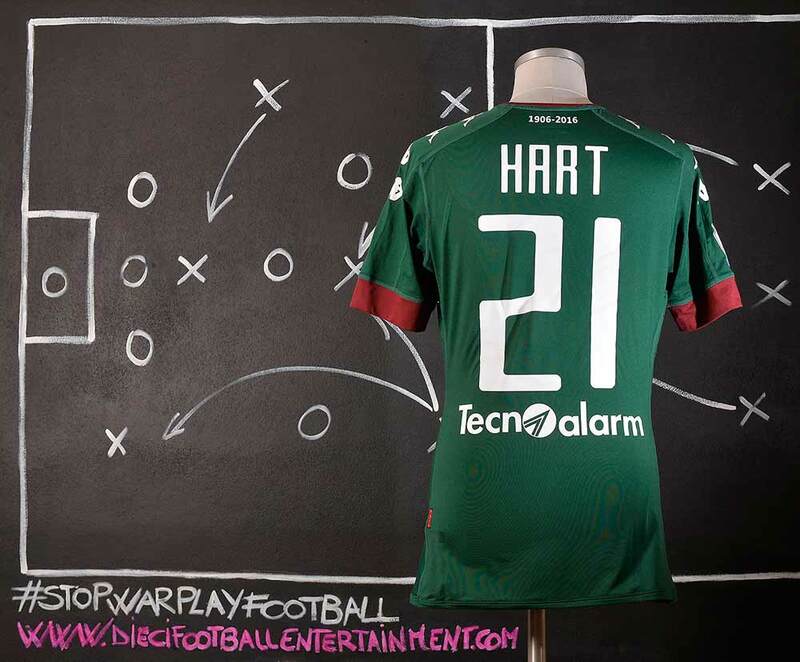 On 13 August 2016, Hart was dropped by new manager Pep Guardiola for the first match of the 2016–17 Premier League season. 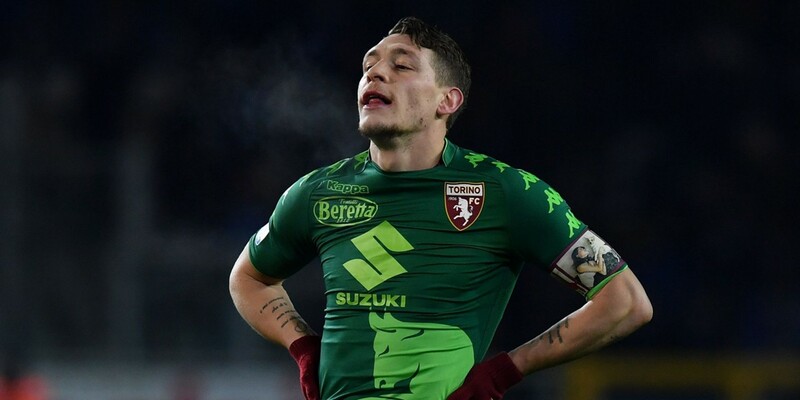 The absence followed his poor performances in Euro 2016, and Guardiola’s desire for a player with better footwork who could fill a sweeper-keeper role. 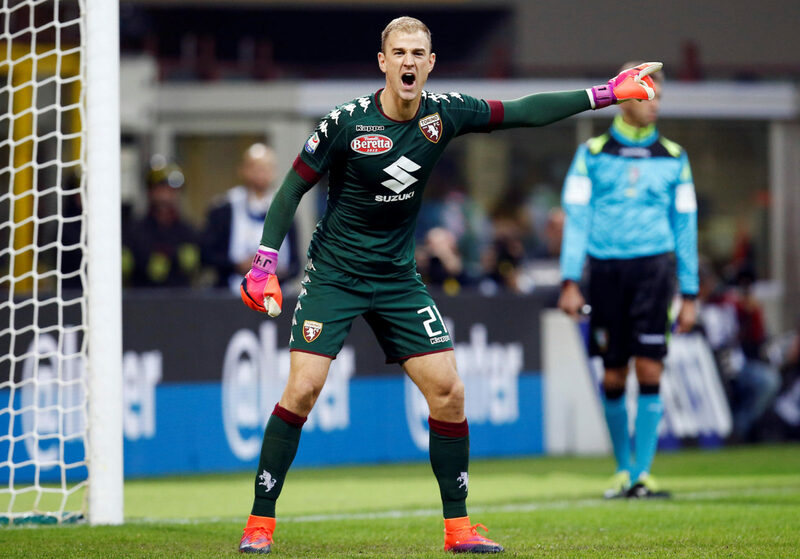 Hart made his first start of the 2016–17 season in a Champions League qualifying match against Steaua Bucharest, as captain of the City side that won 1–0 on the night, 6–0 on aggregate. 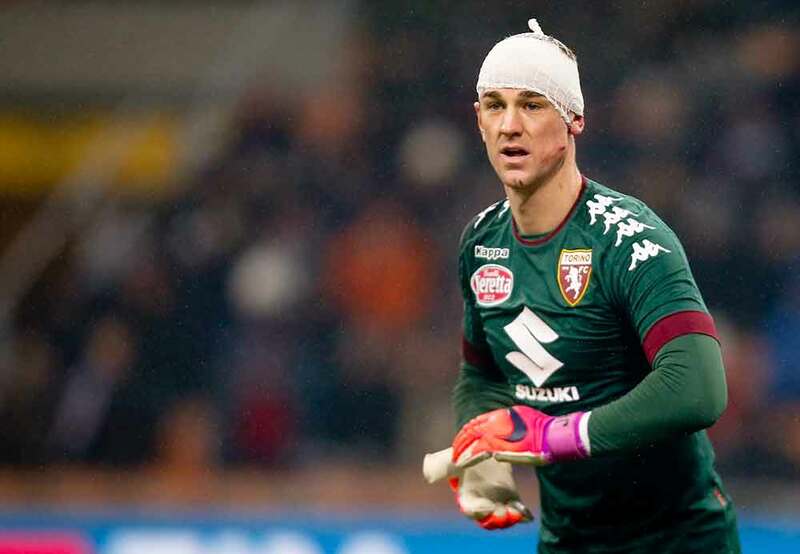 Following the match, Hart was applauded by the crowd, in an atmosphere which was described as resembling a pre-departure testimonial. 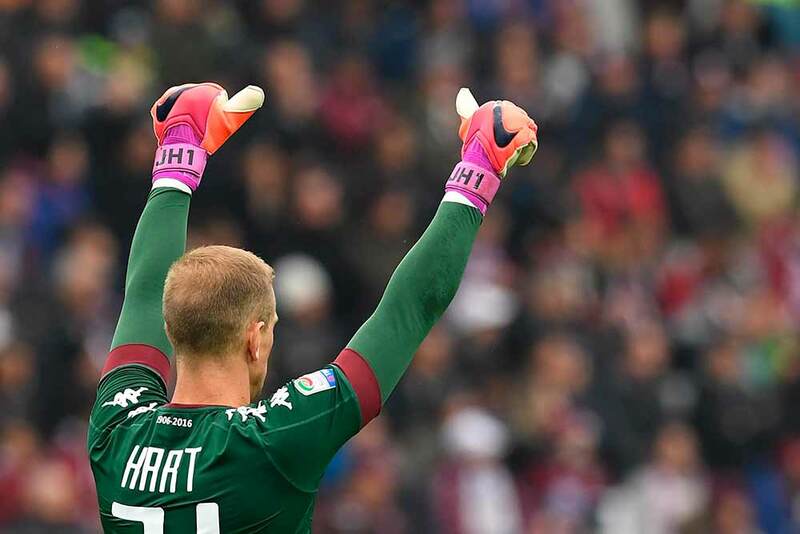 Following speculation linking Hart with various top European clubs, including Arsenal, Borussia Dortmund, Everton, Liverpool, Milan and Sevilla, Hart surprisingly decided to pursue a season-long loan in the Serie A with Torino. 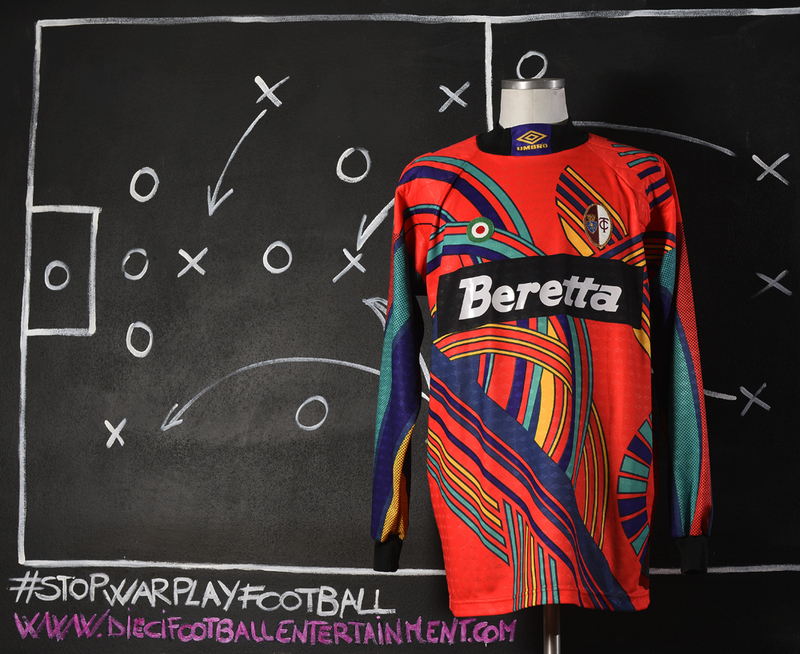 In doing so, he became the first English goalkeeper to sign for a Serie A club since the league’s inception in 1929. 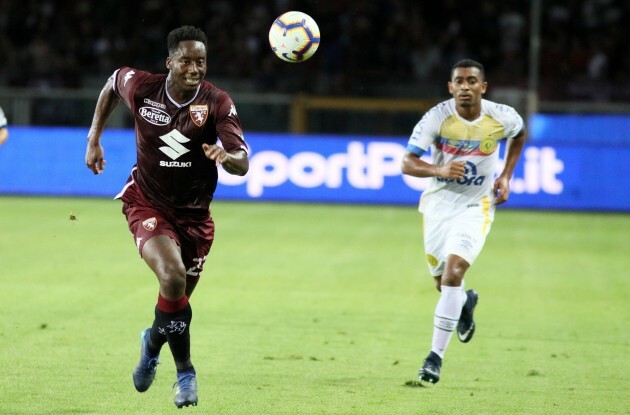 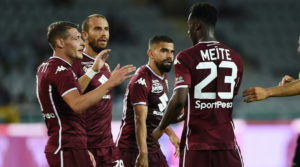 On 11 September 2016, Hart suffered a tough start in his debut for Torino, being partly at fault for the first equaliser in a 2–1 away defeat to Atalanta when his punch from a corner fell at the feet of an opposing attacker who scored. 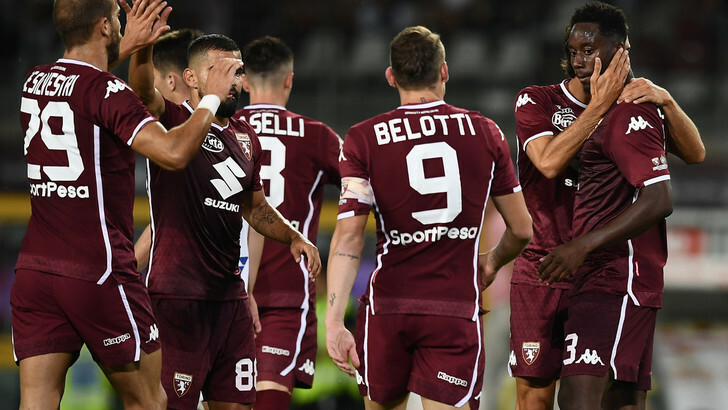 This shaky start, however, proved only temporary as Hart kept consecutive clean sheets in his next two games against Empoli and Pescara, both of which ended 0-0, making several important and acrobatic saves in the latter despite his team being down to 9 men. 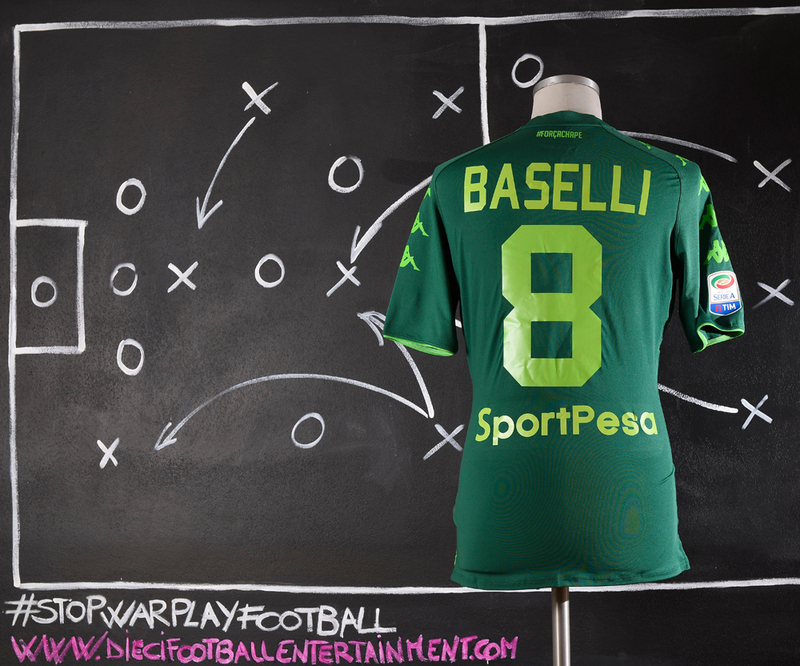 This exclusively green shirt, with slight differences from player’s shirts, was also on sale in a limited number of 1500 pcs. 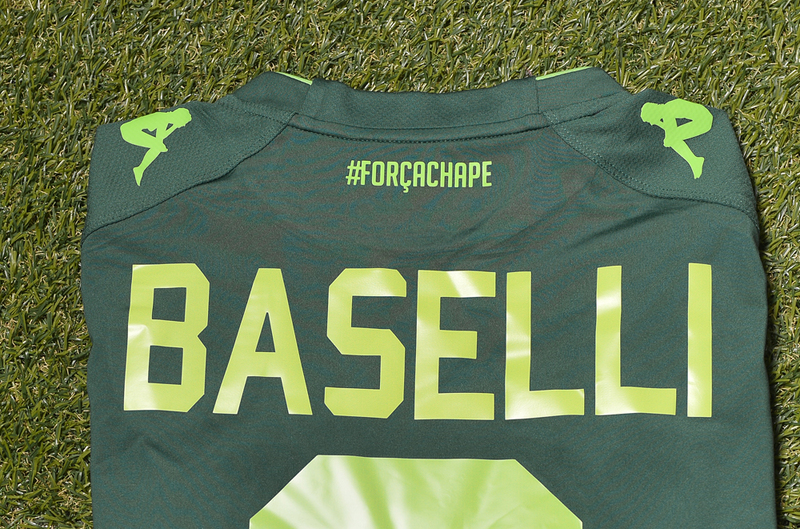 and part of the proceeds were donated to families of the victims of the Chapecoense’s crash. 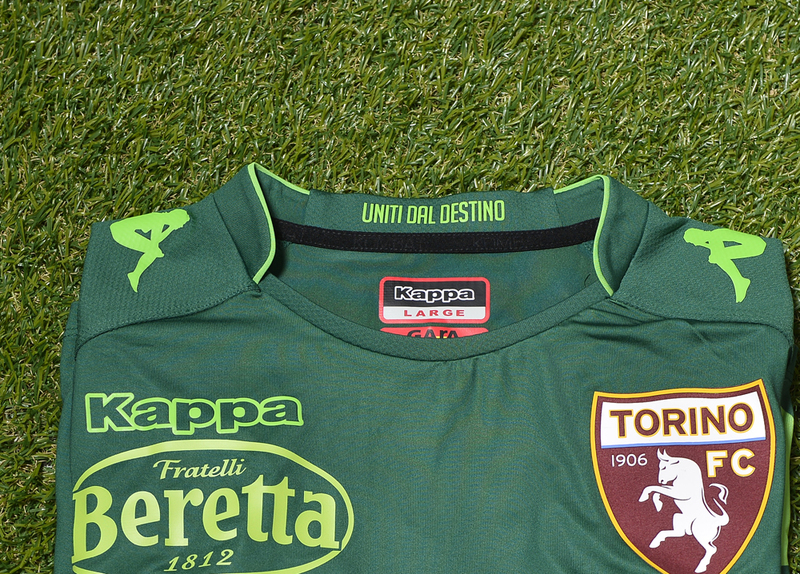 The shirt has in the inside collar “UNITI DAL DESTINO” printed meaning “United by fate”. 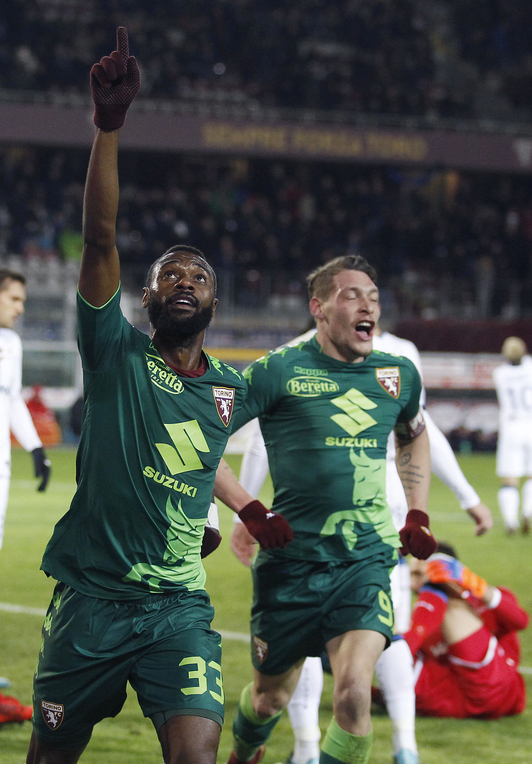 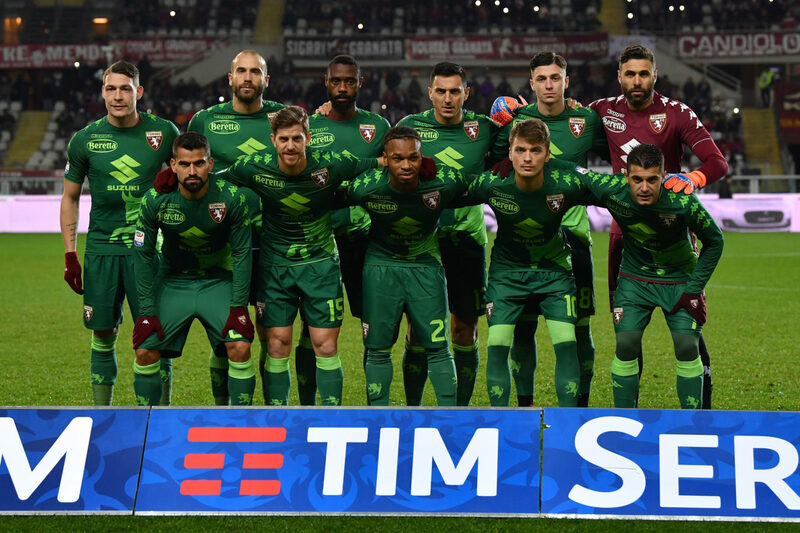 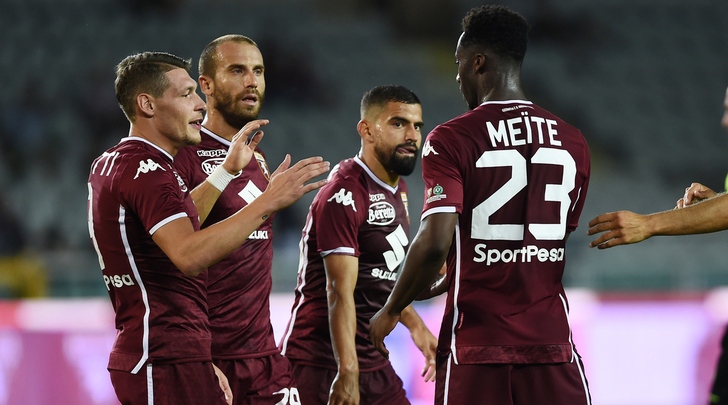 Torino Team played in December 2nd 2017 against Atalanta with a special green shirt to mark the one-year anniversary of the plane crash that killed most of the Brazilian team of the Chapecoense on November 28th 2016. 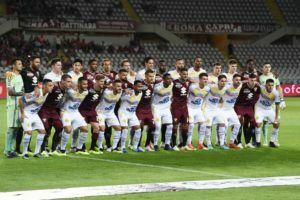 The plane was carrying the Chapecoense’s team to the final of the Copa Sudamericana and crashed into a hillside near Medellin, Colombia. 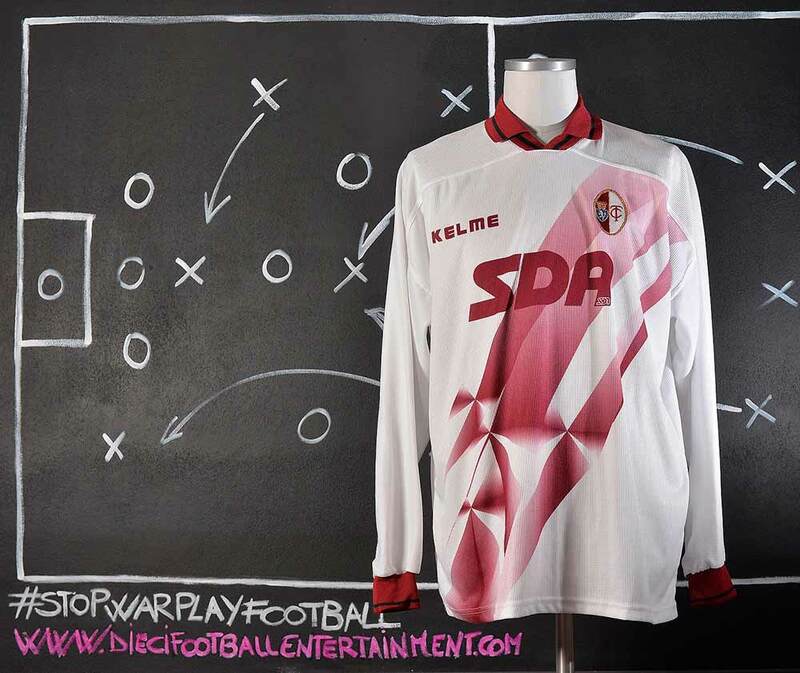 It killed 71 people including 19 players and most of the club’s board and coaching staff. 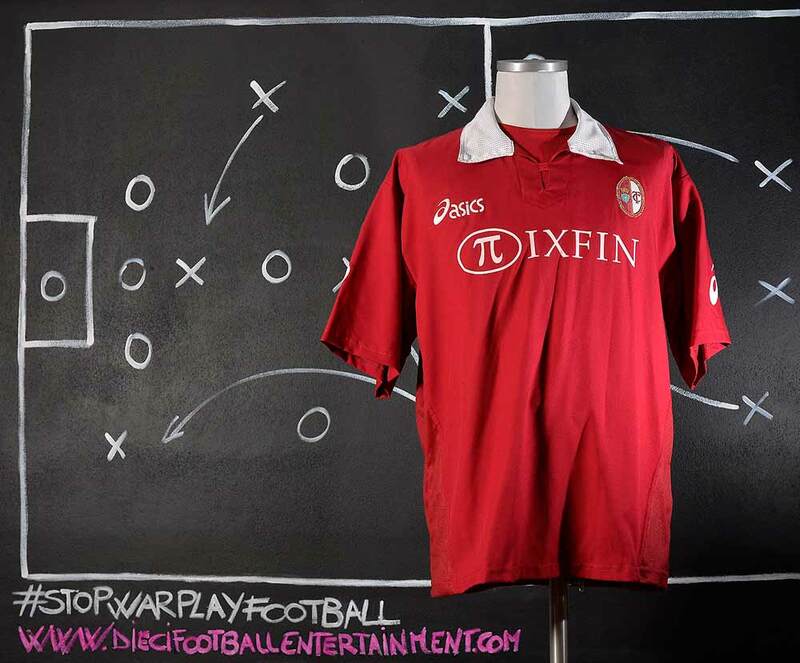 The Torino’s crash happened in 1949 in Superga. 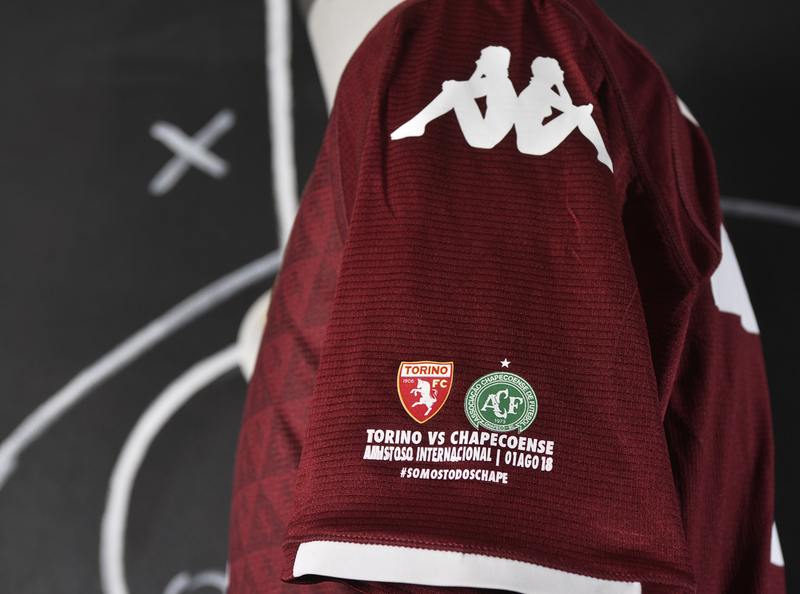 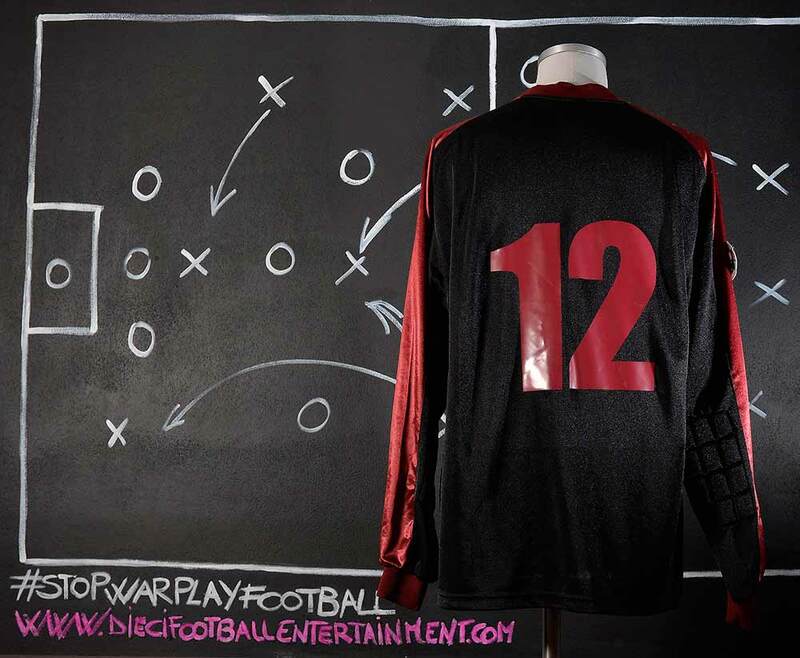 The air disaster claimed 31 lives, including the ‘Grande Torino’ side that had won five straight league titles. Torino, says it is ‘fulfilling a promise’ made by club president Urbano Cairo to Chapecoense president De Nes Filho. 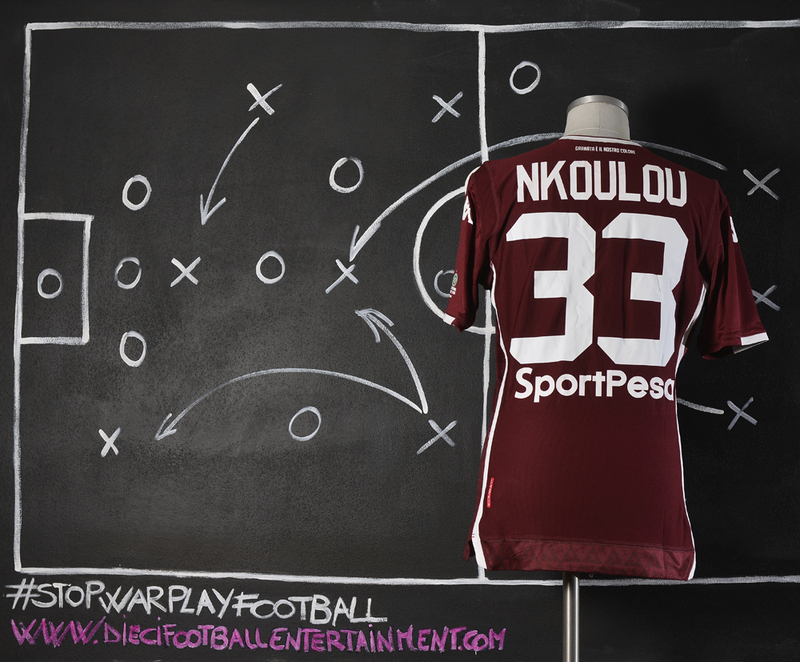 This shirt was worn by Nicolas Nkolou during the “SportPesa Cup” which took place in Turin on August 1st 2018 between Torino and Chapecoense. 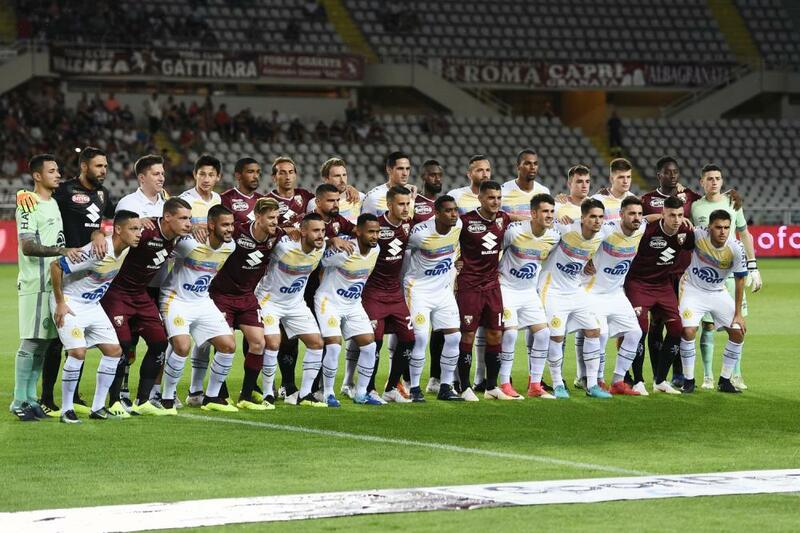 The “SportPesa Cup” was a friendly international game between the two teams that have a common disgrace in their history, the Torino’s Superga plane crash on May 4th 1949 and the Chapecoense’s plane crash in Medellin (Colombia) on November 28th 2016. 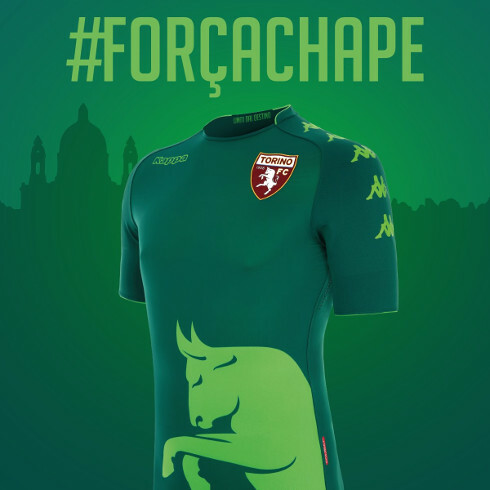 Since the moment in which tragedy struck Chapecoense, Torino FC President Urbano Cairo proposed the idea to organize a friendly match between the two teams to help the Brazilian Club rise after the disgrace. 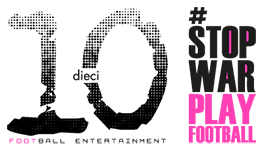 That project – started last year in Milan after an encounter with President David Plinio De Nes – became a reality. 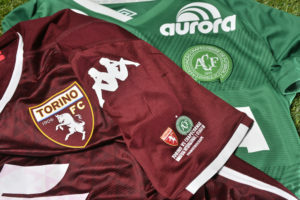 Chapecoense team was host of Torino, and the proceeds was given to the Brazilian Club as an aid to reconstruct after the plane crash, in which 71 people lost their lives. Two of the three survivors of the team, Allan Ruschel and Jackson Follmann, also attended the game. 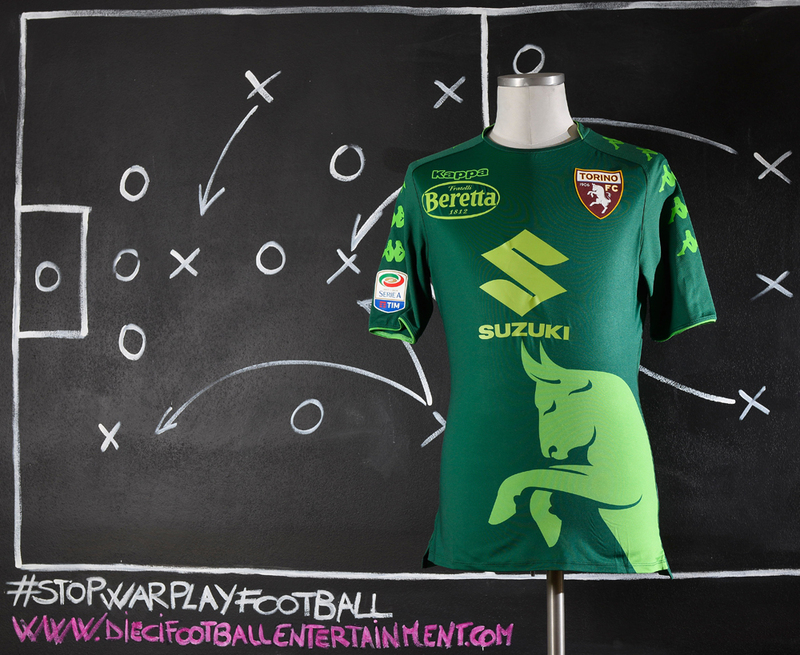 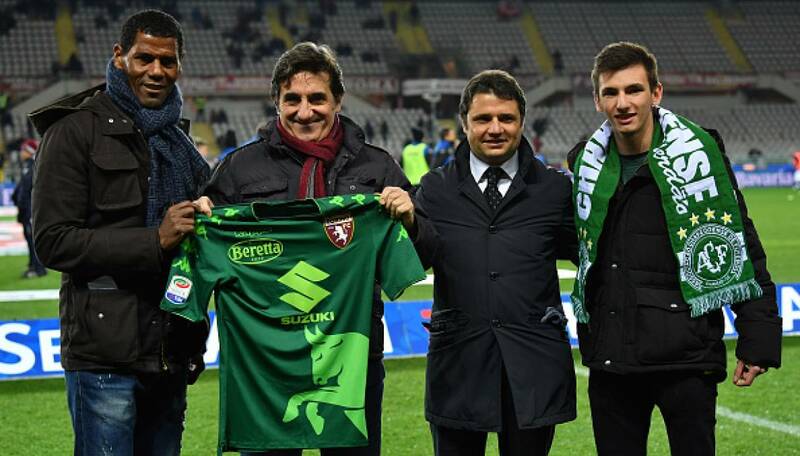 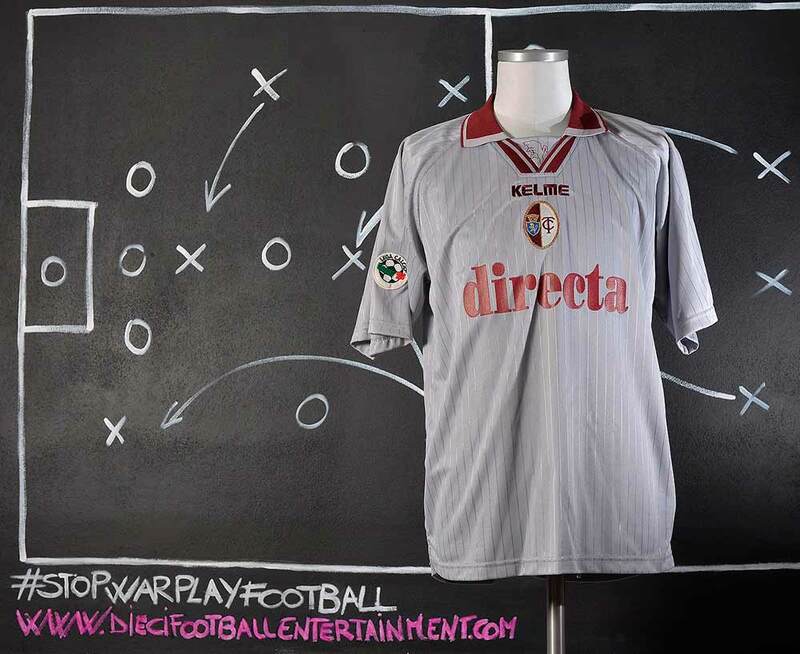 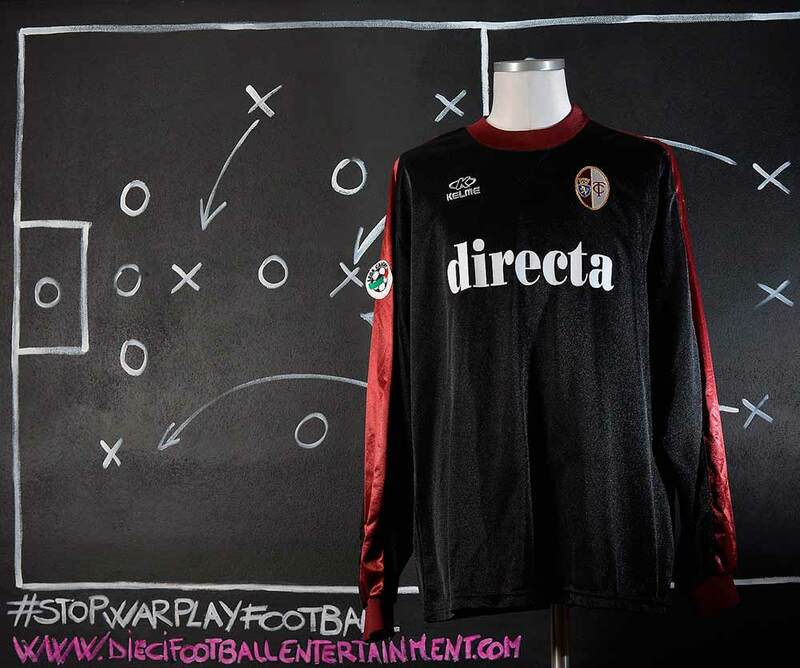 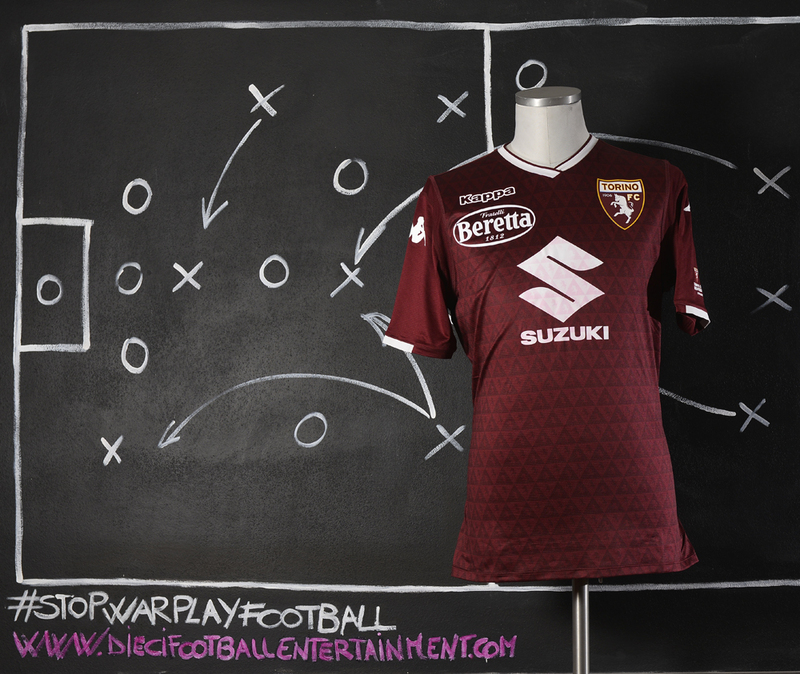 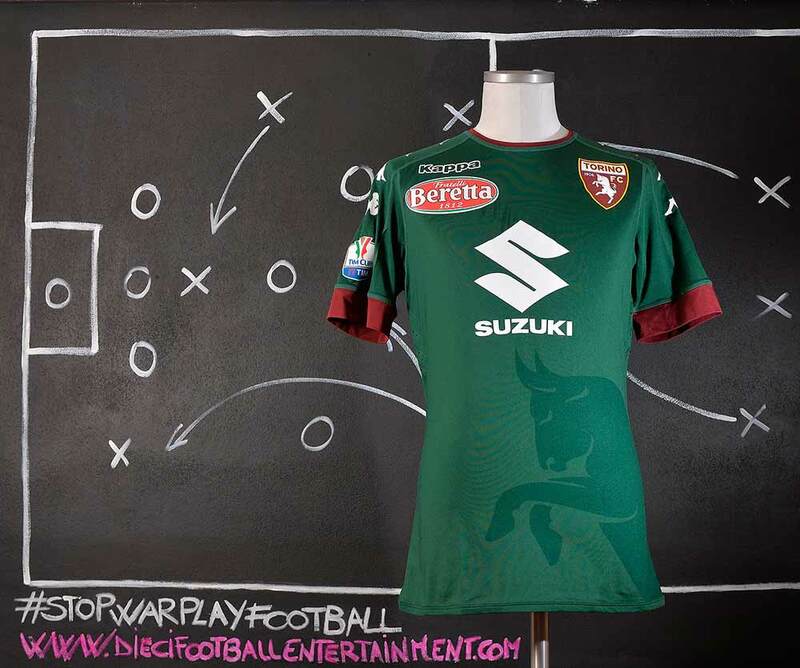 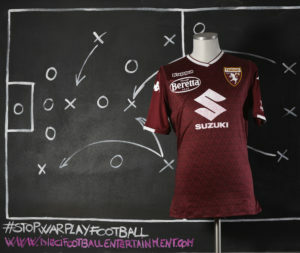 The event was also the occasion for Torino to donate the proceeds coming from the sale of the celebratory kits used in Torino-Atalanta on December 2 (look the shirt above), 2017 given to the Brazilians. 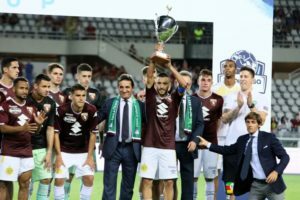 The Chapecoense team also honored Torino with his team’s officials that went to Superga the day after the “SportPesa Cup”.